The Dutch Minister of Security and Justice said that the Netherlands will convene an EU Council meeting at the request of Belgium to discuss the deadly terrorist attacks that had hit Brussels. MOSCOW (Sputnik) — The Netherlands will convene an EU Council meeting at the request of Belgium to discuss the deadly terrorist attacks that had hit Brussels, the Dutch Minister of Security and Justice said on Wednesday. 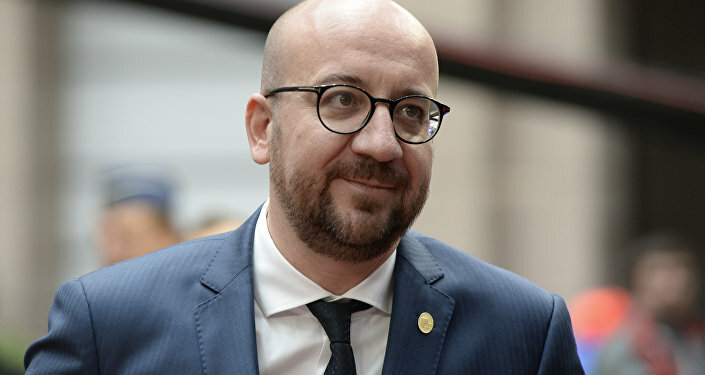 "Following the request from Belgium, the Netherlands presiding [over the European Council] will organize a ministerial meeting to discuss the attacks. Possibly on Thursday morning," Ard van der Steur said via Twitter. On Tuesday, at least 34 people were killed and some 230 injured in two bomb blasts in the Brussels Zaventem airport and an explosion at a metro station in the city. The notorious Islamic State (ISIL) jihadist group, which is outlawed in many countries, including Russia and the United States, claimed responsibility for the attacks.